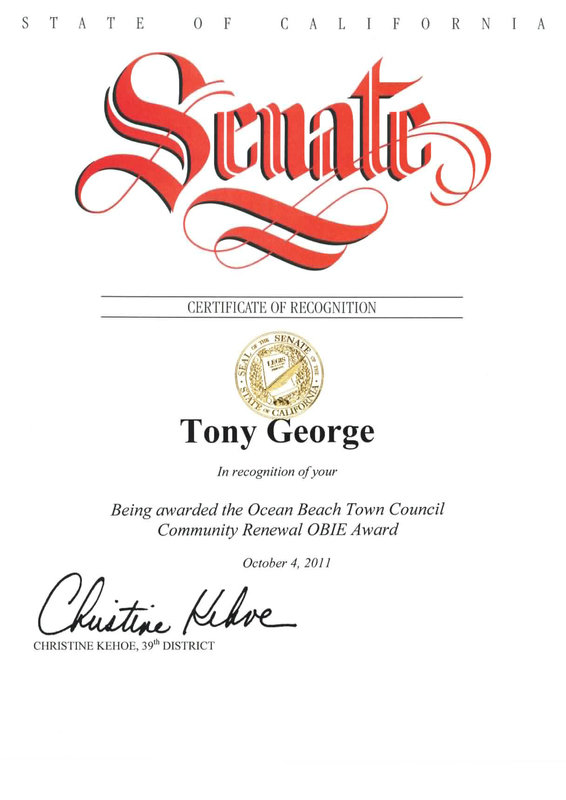 Your valuable work and commitment towards improving the quality of life for the residents of Ocean Beach is commendable. 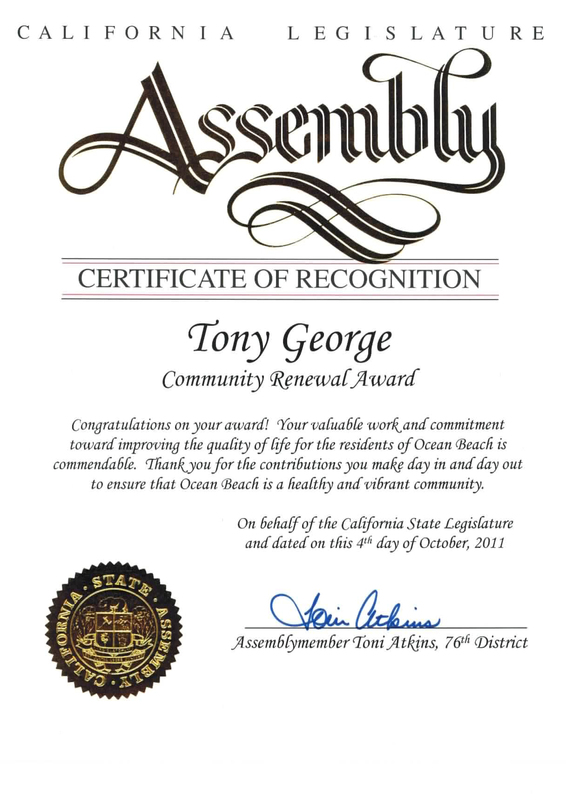 Thank you for the contributions you make day in and day out to ensure that Ocean Beach is a healthy and vibrant community. 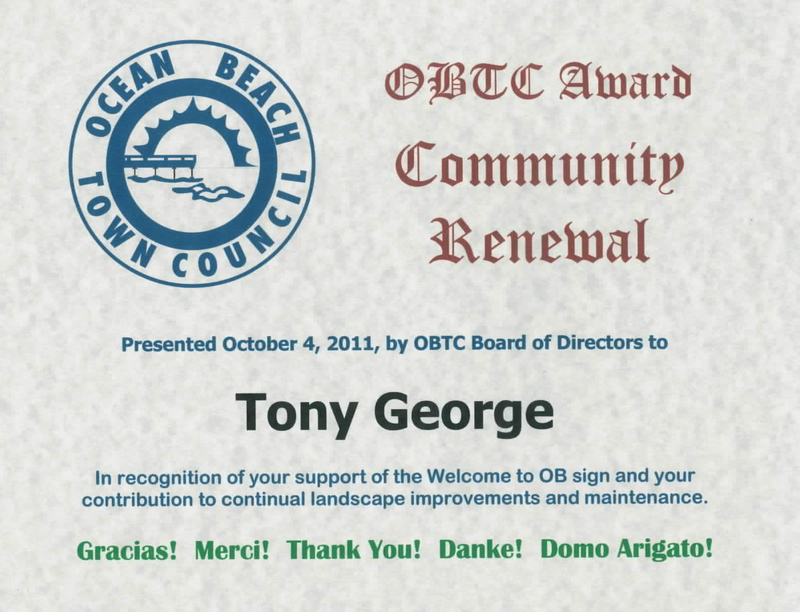 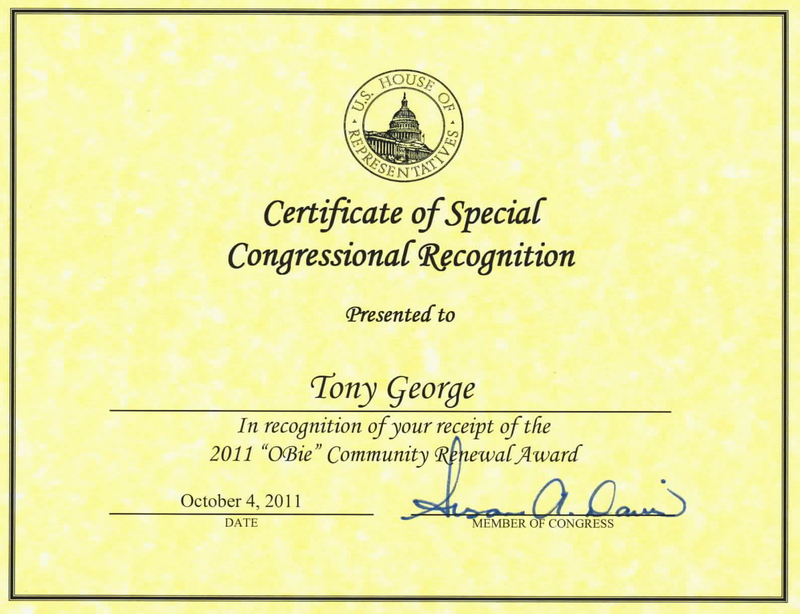 Presented October 4, 2011 by OBTC Board of Directors to Tony George in recognition of your support of the Welcome to OB Sign and your contribution to continual landscape improvements and maintenance. 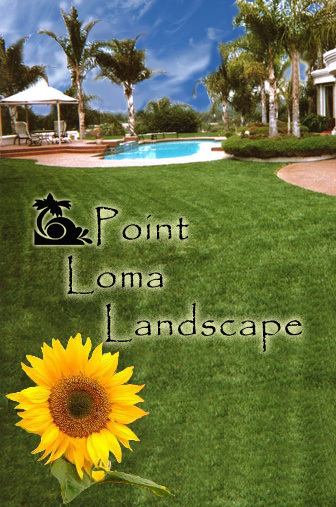 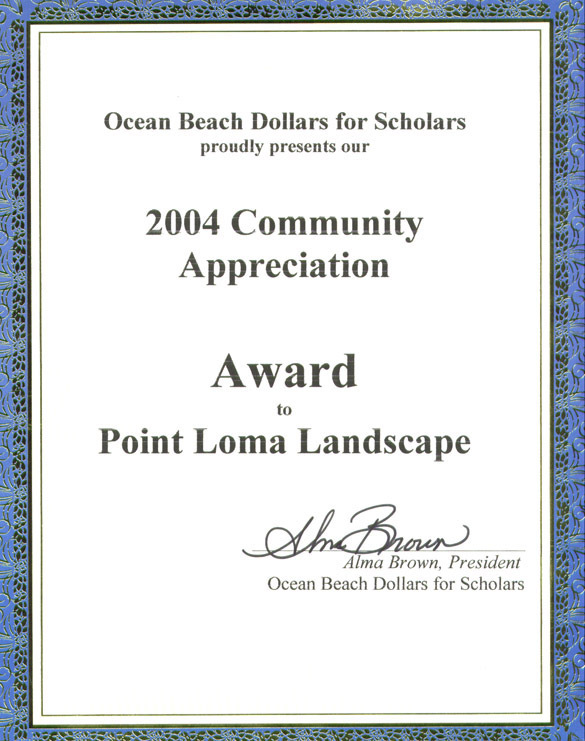 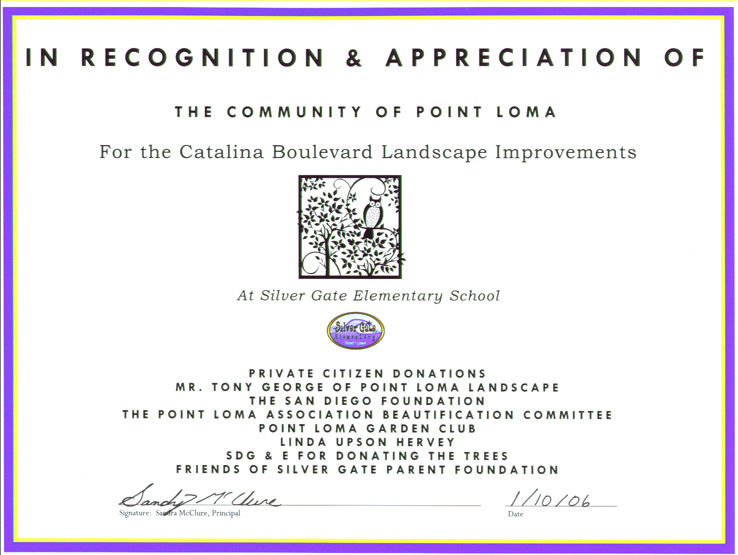 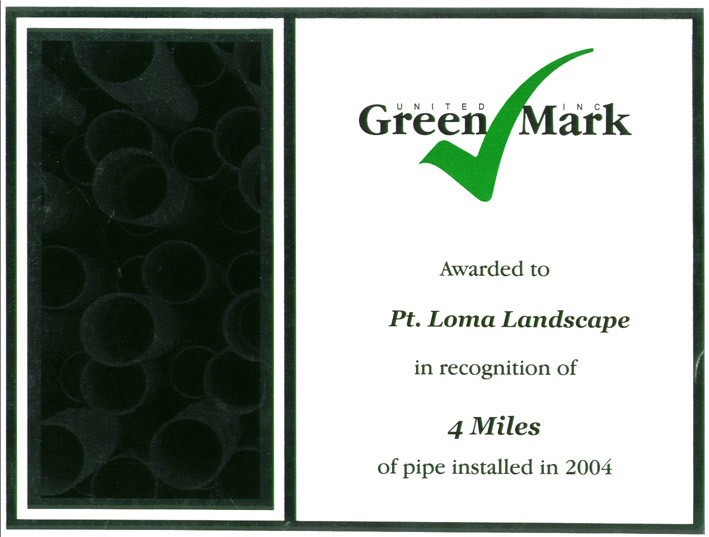 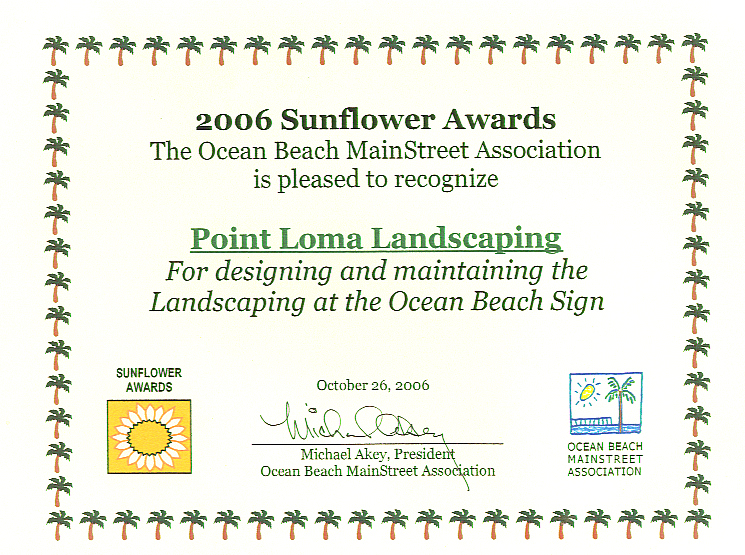 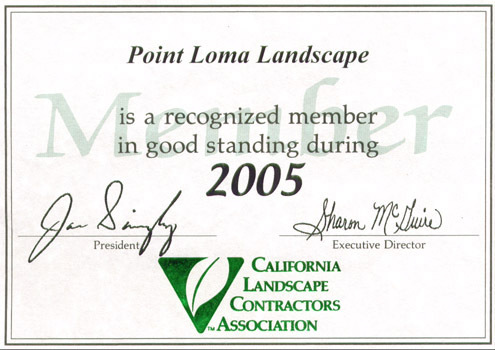 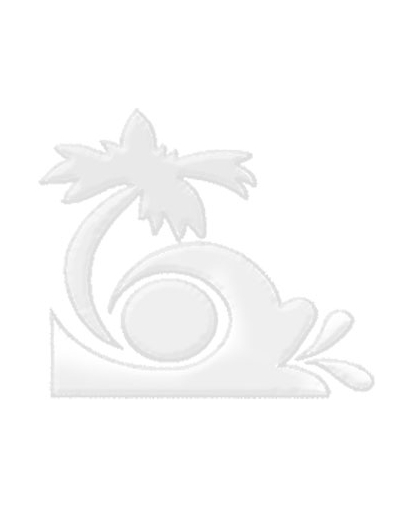 The ocean Beach Main Street Association is pleases to recognize Point Loma Landscape for designing and maintaining the landscaping at the Ocean Beach sign. 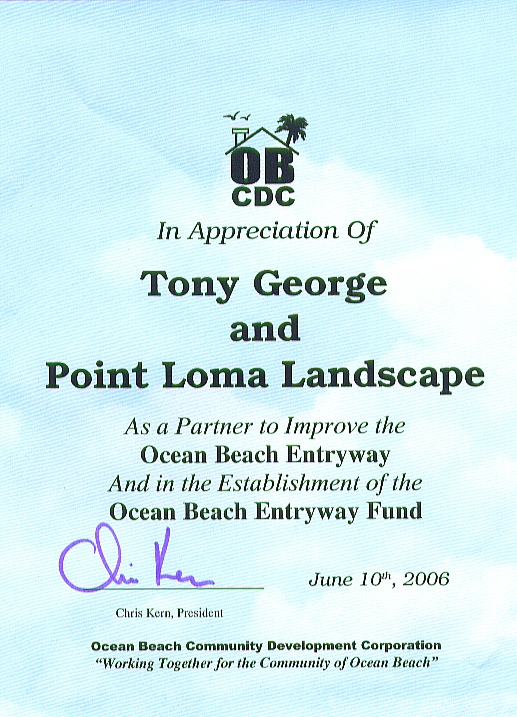 OBCDC In appreciation Of Tony George and Point Loma Landscape As a partner to improve the Ocean Beach Entryway and in Establishment of the Ocean Beach fund. 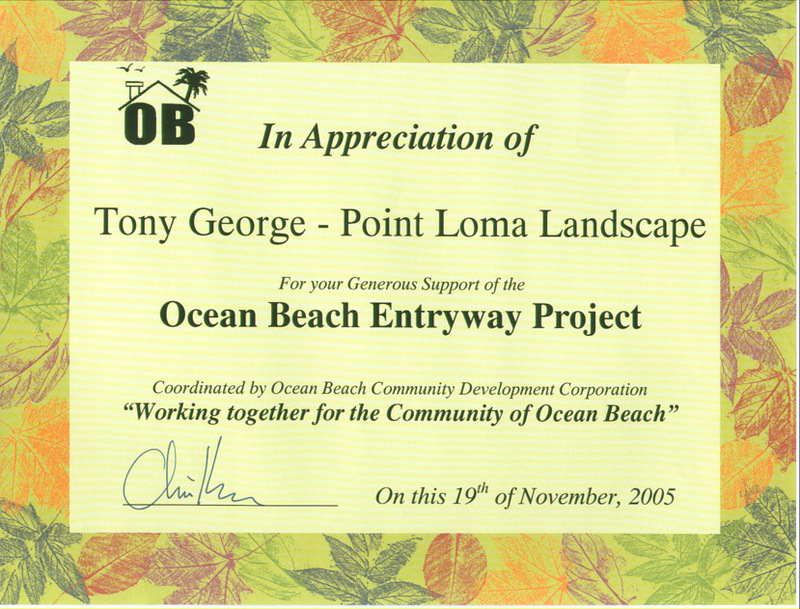 Ocean Beach In appreciation Of Tony George and Point Loma Landscape for your generous support of the Ocean Beach Entryway Project coordinated by Ocean Beach Community Development Corporation. 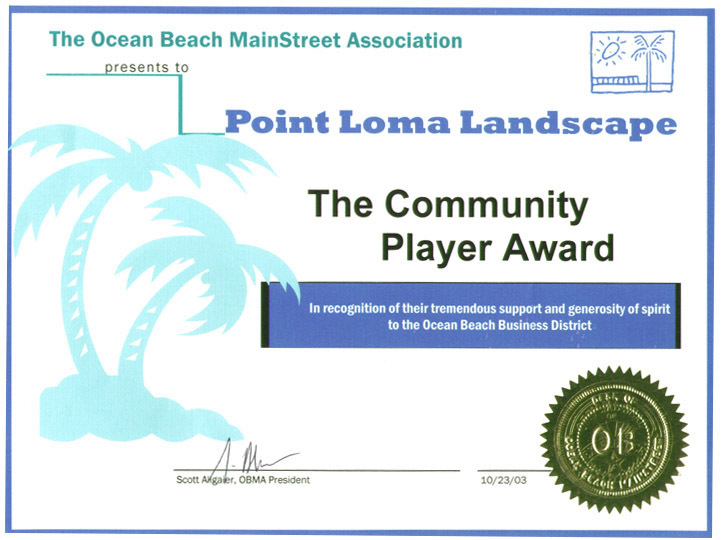 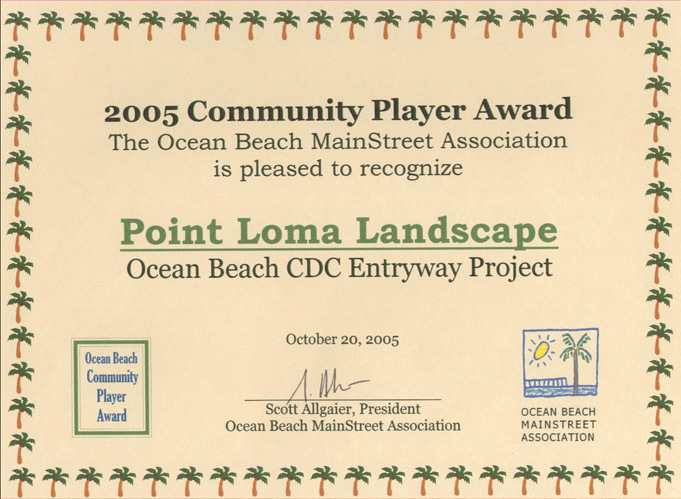 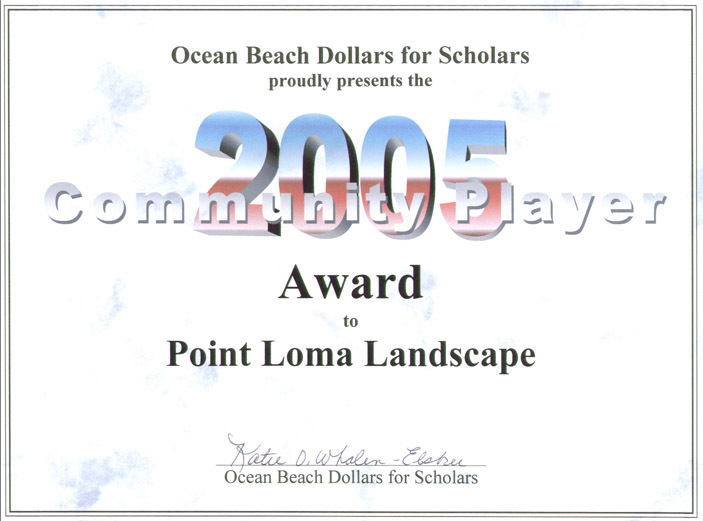 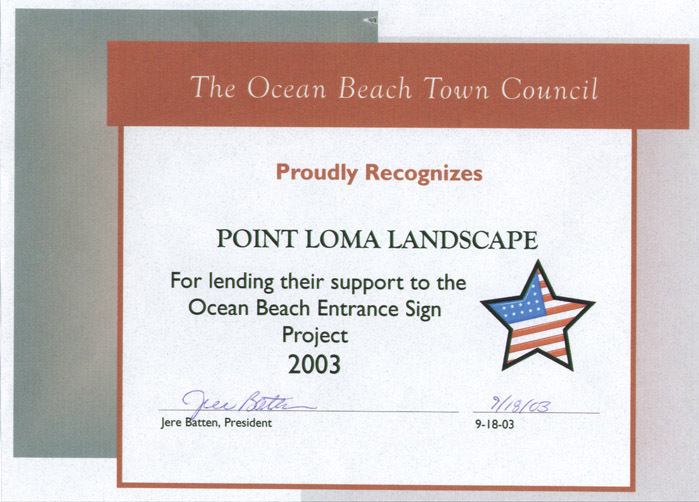 he ocean Beach Main Street Association is pleases to recognize Point Loma Landscape for designing for the Ocean Beach CDC Entryway Project.